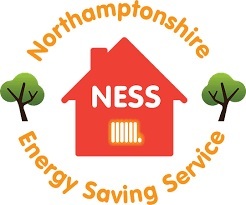 Northamptonshire Energy Saving Service (NESS) is a three-year project funded by National Grid’s Warm Homes Fund to help address fuel poverty in Northamptonshire. It provides help which is free, confidential and independent. Northamptonshire County Council are working in partnership with local voluntary and charity sector organisations to deliver NESS. Community Law Service are operating as lead delivery partner, alongside Citizens Advice Services Corby and Kettering, Care and Repair Northamptonshire and South Northants Volunteer Bureau.